The American Dream project on Route 3 is under construction again. The mall will be 3 million square feet. 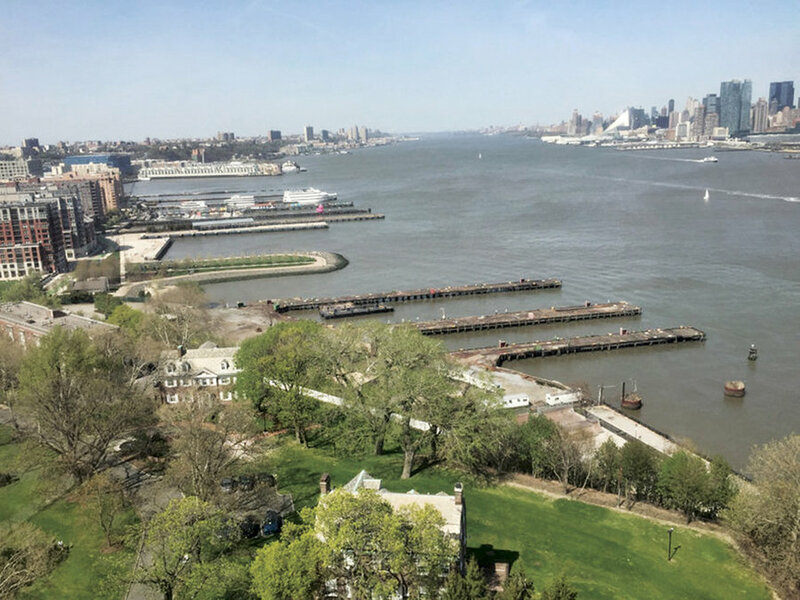 A Hilton Hotel is scheduled to be built along Hoboken’s downtown waterfront, which will be developed by KMS Development Partners. Hudson County has become the home for businesses large and small who take advantage of the area’s numerous transit options, river views, local housing, and amenities. Transportation doesn’t just move the employees; according to Choose: New Jersey, a group that works with the state to promote economic growth; companies are also attracted to New Jersey’s transportation infrastructure that moves products around the world. “A business can reach 40 percent of the U.S. population in two days from anywhere in the state,” said President and CEO Jose Lozano, who added that they are also attracted to the state’s highly educated and highly skilled workforce. He said specifically Hudson County has been a popular destination for companies that need to be near New York City, but take advantage of New Jersey’s more affordable real estate. According to Lozano, while many of the companies who choose to establish operations in Hudson County hail from New York City, the county is also attracting companies from across the country and the world,such as Newell Brands, which moved its headquarters from Atlanta to Hoboken recently. Hudson County has brought or retained some big names across various industries including Ernst & Young in Hoboken, and Goya, which opened a new and larger operation in Jersey City in 2015 while retaining its original facility in Secaucus. The region has numerous types of facilities, from offices to warehouses to factories. There are several company headquarters and big box stores as well. And the massive American Dream retail/recreation complex on Route 3, just outside the county, will bring consumers and visitors to the area next year. Jersey City, across the Hudson River from lower Manhattan, is home to the financial district Exchange Place, with companies also nearby in Newport and Harborside. JP Morgan Chase & Co moved over 2,000 of its technology employees from New York to the Newport area of Jersey City in 2015 after signing a lease for 400,000 sq. ft. of space. In 2016, World Business Lenders opened their new headquarters in Exchange Place, moving 115 employees and creating 100 more jobs there. It’s not just financial companies coming to the area. In February of last year, Tory Burch, a fashion designer, brought roughly 140 jobs from Manhattan to a 93,000-square-foot space in the Newport area, near the waterfront and Newport Mall. The waterfront is also home to several hotels. 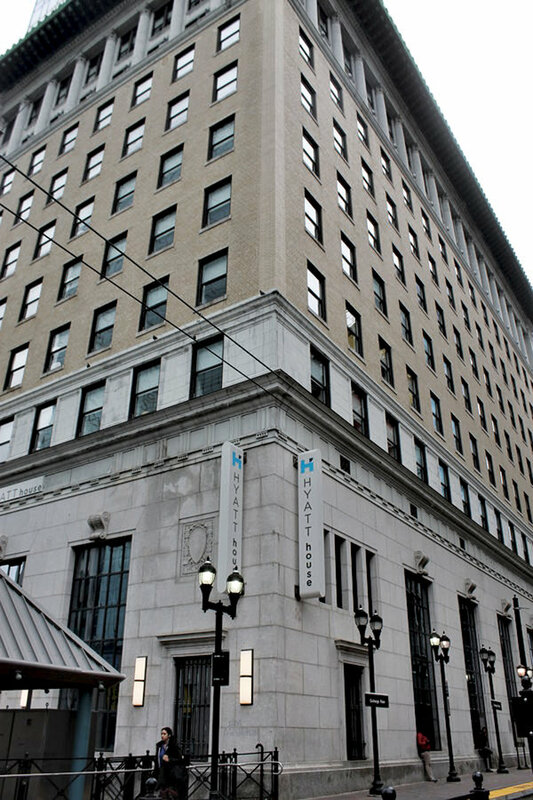 A new 258-room Hyatt House opened near Exchange Place last year. Other hotels on the waterfront include the Courtyard Marriot, the Westin, and Hyatt Regency. The Liberty Science Center in Jersey City will expand its operations as well, planning a new $280 million project near its location in Liberty State Park, near the light rail. The new complex will feature a biotech lab, a coding lab, a technology business incubator, and a K-12 STEM-focused school, as well as a scholars’ village with residences for visiting scientists. The new project will create over 800 permanent jobs in Jersey City. With more residential and commercial towers comes a need for more services and stores. Whole Foods may be coming to downtown Jersey City’s Grove Street neighborhood, according to reports. Jersey City is also planning for new Special Improvement Districts (SIDs), in which the businesses raise money for area improvements. Two areas which may soon become SIDs are Exchange Place and Journal Square. Hoboken is home to several large businesses on its lower waterfront including Pearson Publishing, Wiley Publishing, Thomson Reuters and Jet.com. Newell Brands, the maker of Sharpie markers and Rubbermaid containers, relocated its headquarters from Atlanta to Hoboken in 2016 to tap East Coast talent for its growing e-commerce operations. 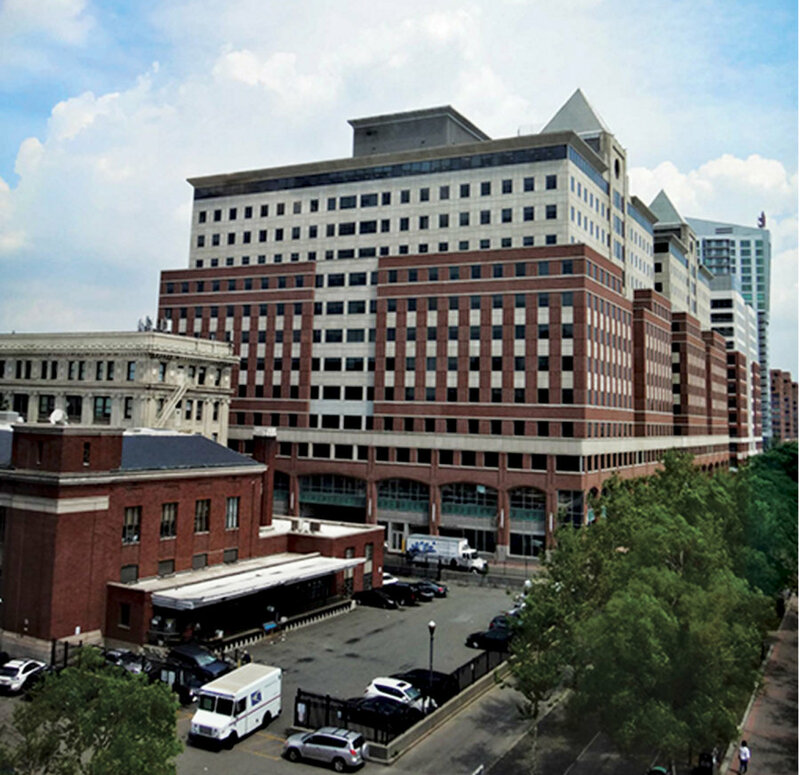 Ernst & Young LLP (EY) opened the organization’s new 170,000 square-foot office and learning center in downtown Hoboken along the waterfront in January of 2018. The new location is home to more than 1,000 professionals. The city will also someday get its second hotel, not far from the existing W Hotel on the southern waterfront. KMS Development Partners is the conditional redeveloper for the new Hilton Hotel to be built on the back parking lot of the River Street Post Office. According to the developers, once they receive final approval from the city, the project could begin construction by the end of the year and provide over 130 jobs. Hoboken has seen several new residential buildings in the past few years, which contain ground floor commercial space. A new luxury building at the foot of the Fourteenth Street Viaduct, Harlow, contains Trader Joe’s, which opened to much fanfare last spring. A West Elm location also opened near that northern border of the city last year, as did a rock climbing gym, Gravity Vault. 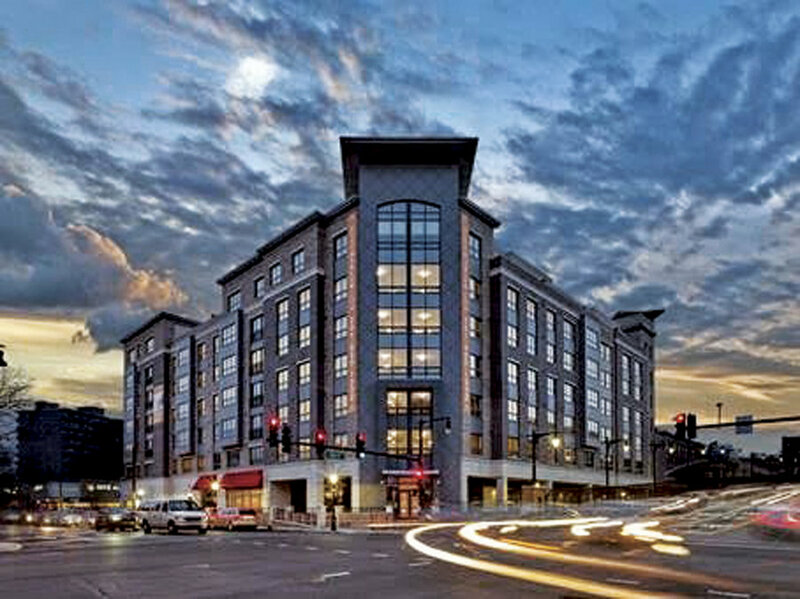 A Fairfield Inn & Suites by Marriott opened in August of 2017 in the ever-expanding commercial district along Tonnelle Avenue in North Bergen, inland away from the waterfront on 69th Street. Also on 69th Street, U-haul recently opened its East Coast hub. The first northern New Jersey branch of Carl’s Jr., a fast food chain, plans to open along Tonnele Avenue within the year, as does a WaWa convenience store. Weehawken will also soon welcome a new waterfront hotel. A Marriott will open in the Port Imperial area in August. It will be a Residence Inn extended-stay hotel with 154 rooms, developed by Mack-Cali Reality. Further south on the waterfront, Whole Foods Market 365 will also open in the Lincoln Harbor mixed use development this fall. 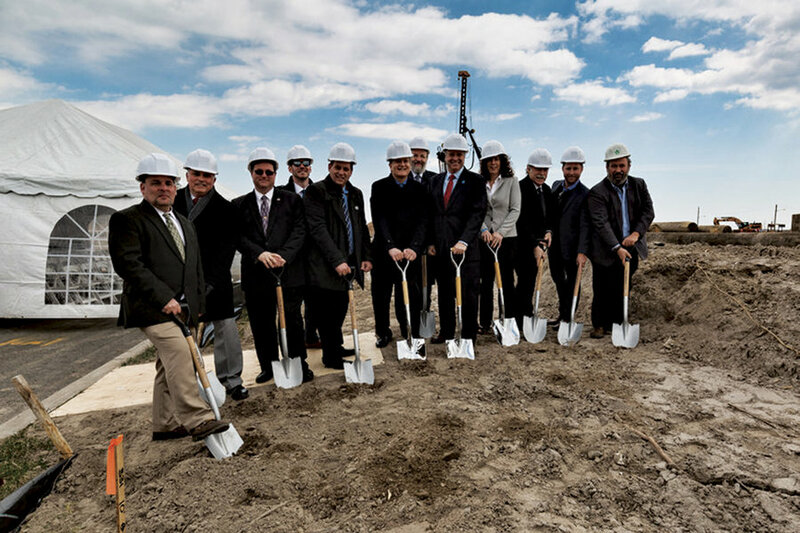 The Harmony Foundation, a medical marijuana facility on Meadowlands Parkway in Secaucus, is scheduled to open later this year. The dispensary’s progress comes at a time when Gov. Phil Murphy has come out as a strong marijuana advocate, recently expanding the state’s medical marijuana program. Harmony Foundation would become the first Alternative Treatment Center in Hudson County, and the sixth in New Jersey. 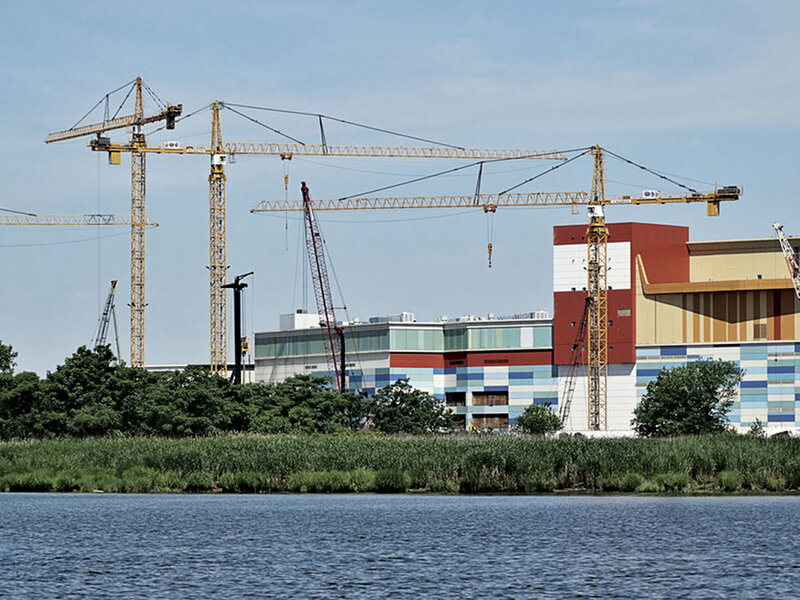 Over the Hudson County border in nearby East Rutherford, the American Dream project on Route 3 is expected to be completed in March of 2019. The mall will be 3 million square feet and will include an 8.5-acre Nickelodeon Universe theme park, the largest indoor theme park in the Western Hemisphere. It will also feature two roller coasters and North America’s first indoor ski and snowboard park. Over 450 different retailers have signed on to American Dream, including Century 21, European Primark, and Microsoft. The project, initially proposed in 2003, has stalled several times over the years. But its most recent developer Triple Five, based in Canada, said it is on track to open next March. Bayonne will welcome a new 150,000-square-foot Costco Wholesale as part of the redevelopment of the Military Ocean Terminal base, which will also include massive residential development. In addition, the Harbor Point Marketplace in that area will include 92,000 feet of retail space. The Military Ocean Terminal will also be home to the $50 million expansion of the Cape Liberty Port, the region’s second largest cruise ship terminal by passenger volume. According to Bayonne’s 2017 master plan reexamination, neighborhoods surrounding the town’s light rail stations will become hubs to retail and commercial and residential developments. One such development near the Eighth Street light rail station will have 340 residential units and over 25,000 square feet of ground floor commercial space, which could include a day care and high-end grocer. Hudson County is served by almost every kind of accessible transportation – including New Jersey Transit and PATH trains, light rail trains, ferries, buses, rent-a-car services, bike share programs, and Zipcars on the street that can be reserved via computers. 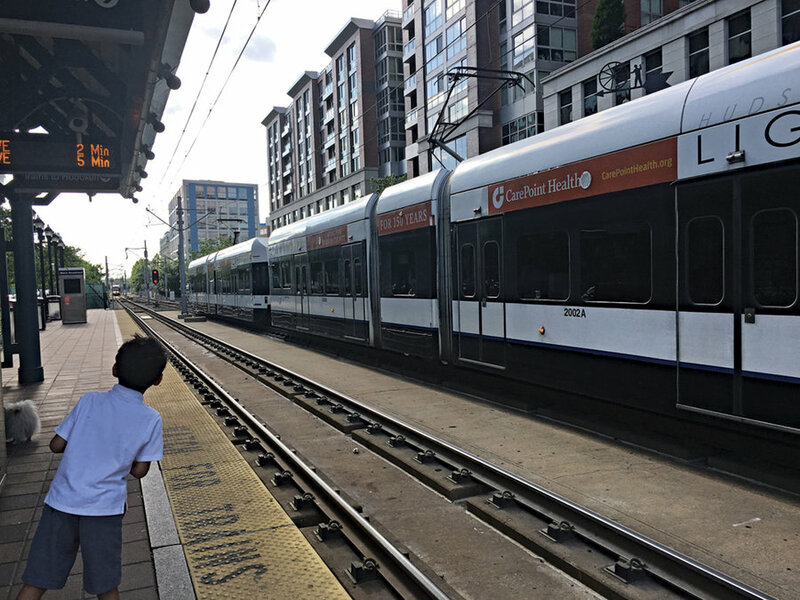 Earlier this year, NJ Transit approved a proposed alignment to expand the Hudson-Bergen light rail, which currently runs from Bayonne through Jersey City into Weehawken, West New York, Union City, and North Bergen. The expansion would consist of a 10-mile, two-track extension from its current terminus at the Tonnelle Avenue station in North Bergen to the Englewood Hospital and Medical Center. The project calls for building seven new stations in total, and is expected to serve 12,370 passengers each weekday by 2030. In other train news, the Port Authority of New York and New Jersey is making improvements to the PATH network, including installing Postive Train Controls, an advanced system designed to automatically stop a train before an accident can occur. NJ Transit is also in the process of installing PTC. The area is seeing various road and bridge improvements. Hudson County is also in the midst of a massive statewide transportation improvement program that started in 2016 and is expected to conclude in 2025. Funded largely by the Port Authority of New York and New Jersey, it includes improvements to four facilities: Route 7/the Hackensack River (Wittpenn) Bridge, Route 139 (the covered roadway at the foot of Jersey City Heights), the reconstruction of the Pulaski Skyway which is currently underway, and improvements to Route 1&9 to allow a better flow. Near the North Bergen/Secaucus border, a project is underway to replace Route 495 and associated service roads, improving the approaches to the Lincoln Tunnel. The Route 495 Corridor Bridge project, a $90 million project, will rebuild route 495 including nine bridges that carry traffic over Routes 1&9. Construction will continue until it’s completed in 2021. The New Jersey Turnpike Authority also reconstructed the 14A entrance in Bayonne that will help alleviate massive backups in and out of that part of the county. A report on transportation done in 2015 said Hudson County has seen 10 percent increase in population between 2000 and 2014 and that rapid transit to New York is the primary attraction for new residential development. One question that remains is the fate of the Gateway Tunnel project, a $24 billion project to create new train tunnels from Hudson County to New York City for use by commuter trains. Last month, the Port Authority of New York and New Jersey agreed to fund $12.5 million in order to relocate utilities out of the path of Section 3 of the project, in order to ease transportation into New York. More residents will soon be able to travel to and from the city by ferry, as the city of Bayonne is looking for ferry providers to add a stop at the Military Ocean Terminal. 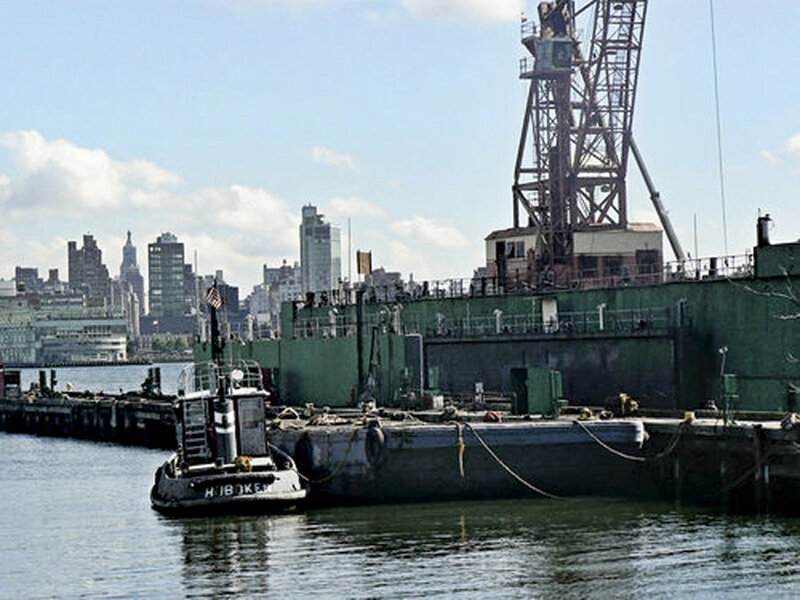 Also, NY Waterway, the private company that runs ferries among West New York, Weehawken, Hoboken, Jersey City, and Manhattan, is slated to move its repair facilities from Weehawken to Hoboken this year after purchasing the Union Dry Dock land on the northern waterfront last November. However, the city of Hoboken is fighting this decision, hoping to keep that property as open space. If that happens, Waterway may have to move elsewhere.